This summer, Walrus and Carpenter Oysters is proud to present their 3rd Annual Oyster Farm Dinner Series with birch, Gracie’s, New Rivers, Nicks on Broadway, north, and Tallulah on Thames. Each of the six dinner experiences begin at 3 p.m. with a boat ride and tour of the 6-acre offshore oyster farm, with discussion and time for questions about the local ecosystem and environmental benefits of oyster farming. Following the tour, guests will enjoy an in-the-water raw bar featuring freshly harvested oysters. After the raw bar, take a walk on stunning East Beach with a view of the open Atlantic Ocean, followed by the seated multi-course dinner paired with wine. Boats will return to the marina around 7:30 p.m.
Varga is a graduate of Johnson & Wales University, and began working at Gracie’s in 2007. He was promoted to Executive Chef in 2010. Since then, Gracie’s has won the AAA four-diamond award four years in a row for their seasonally-inspired cuisine and impeccable service. 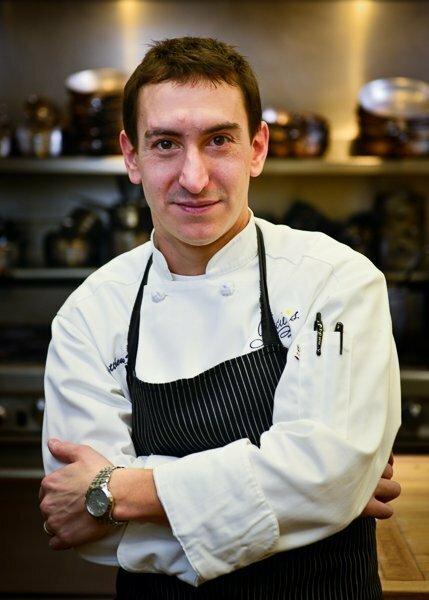 Varga has been featured in Art Culinaire and as a guest chef for the Democratic Governors Association Taste of America gala. Please be aware that each dinner experience involves wading in ankle to knee-deep water, and a 15-minute walk to the beach, so dress accordingly. Boats will begin to depart from Charlestown, RI at 2:30 p.m., with the final boat departing at 3 p.m. Tickets are $185.00 per guest, all-inclusive and are non-refundable, but are transferable. In case of inclement weather the rain date for this dinner is Monday, August 31. Download “What to Expect” details here. If you have any questions about this experience, or if the dinner has sold out and you’d like to be added to a waiting list, please fill out the form below.